WHO CAN STAND: You CAN Dress Modestly...With Style! Can't Stop, Won't Stop, Hostess, White Winter Hymnal, Ray of Light. Jessica Quirk has been posting pictures of her outfits since 2008 on her blog, What I Wore. She has attended events like New York Fashion Week, and been featured in magazines like Glamour, and yet her outfits often display a modesty which would befit any Christian woman. Many people believe dressing modestly automatically means looking frumpy and out-of-date - but that is not the case! What I Wore is the only fashion blog I read regularly, and, although occasionally her skirt hemlines get a little short for my liking, she by and large wears outfits that I would wear - and looks great doing it! Brighten up your outfit with a bold statement piece. Wear a big necklace, a vintage brooch, a colourful coat, or a cute hat. Layer, layer, layer. Throw a belt over a sweater to cinch the waist, wear a button-up or a striped sweater over a chambray or denim shirt, keep warm with tights under a skirt. Wear long tops over jeans. Cozy knit cardigans, shift style dresses, and flowy tunics all look great over jeans. Look for a long black maxi dress. I have the same dress as pictured above, and it is a SUPER great piece. It can double as a skirt when you layer a shirt overtop, and easily goes from casual to fancy! Throw on a scarf. One of the easiest ways to take a blah outfit to cute is to wrap a bright, lightweight scarf around your neck. There are great tutorials for various ways to do this on Pinterest, and you can usually find scarves at thrift shops for a few dollars. Great to hear Moriah! I am not 100% positive what gauchos are - are they those really flowey long-shorts? I understand your feelings, Cecilia. Thank you for being encouraging nonetheless! I'm still working on redefining my style after coming out of a phase where modesty=frumpy. It's been multiple years since that phase, but I've discovered my wardrobe and my style is a slowly evolving process as I learn what it means to dress beautifully and modestly. Thanks for your honesty! I'd really recommend the ebook Frumps to Pumps. I'm planning on posting about it soon, but it was a super great resource for me! Wow - I do love it! Thanks so much for the recommendation! I'm a military wife accompanying my husband overseas right now in Northern Italy. I was sitting outside in the community on a park bench just watching people walk by. Layers, interesting fabric, variety, scarves, jackets, vests and colors - I was just mentally reading this blog post yesterday - only I hadn't found it yet! I was just awed at watching these Italian women walking around being stop in your tracks beautiful and it wasn't about being immodest at all. It was even more interesting to me - that they were wearing more clothing than I felt like the weather allowed, jackets, cardigans, layers and scarves while I had a spring dress with no layers and was sweating. Amazing culture comparison I'm getting to experience in Italy. Yes! I love this! I have always tried to wear modest clothes so it's so nice to find support from others who do the same. 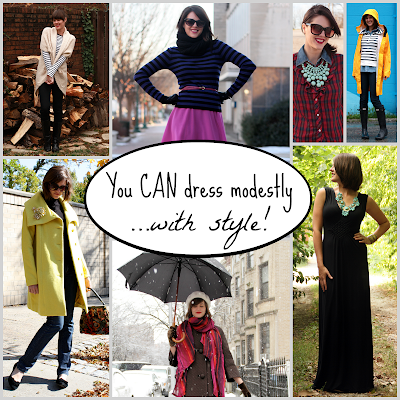 It's not impossible to be modest and stylish at the same time! Love it! I knew I loved your site as soon as I came here! Modesty is so important: it is not only about what we wear, but how we talk and behave. Thank you for recognizing that one can still be stylish and modest! We don't have to choose one or the other. Thank you for supporting modesty in such a fashionable way! 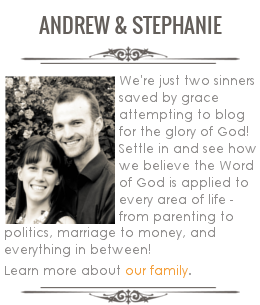 Does God Care About Blog Design? Should We Bring the Bible into the Argument?